Sophos is a Industry leader in IT security and data protection which offers organizations complete protection and control. Sophos helps organizations to defend against known and unknown ransomware, malware, intrusions, unwanted applications, spam, spyware, policy abuse & data leakage, and providing comprehensive network access control (NAC). Their reliably engineered, easy-to-use products & services protect over 100 plus million users in more than 150 countries. Wroffy Technologies has partnered with Sophos to cater small medium business and enterprises with security solutions. Wroffy Technologies is a trusted & leading Sophos Reseller Partner. We help you implement the best IT security practices & solutions with Sophos to protect your organization from known & unknown malware, ransomware, intrusions, hacking attacks, spam, Trojans, phishing and other advanced threats. Buy Sophos Firewall & Endpoint Antivirus at best price from Gurgaon & Mumbai based authorized Dealer, Partner & Reseller with remote and on-site installation support. 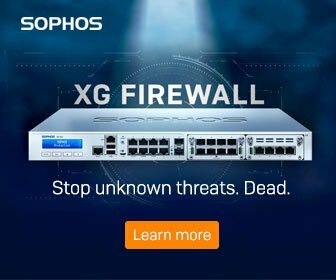 Wroffy is authorized partner of Sophos in India providing Sophos XG Firewall, Intercept X, SG UTM, Firewall Appliance, Server Protection, Mobility Security & installation services along with Antivirus & Anti-spam solutions all over India – Mumbai, Thane, Navi Mumbai, Delhi, Noida, Gurgaon, Bangalore, Hyderabad. Leverage the power of Sophos security product & solutions to protect your business. Sophos Firewall & Antivirus allow you to secure every endpoint on your network, right from laptops to virtual desktops and servers, to web and email traffic and mobile devices. Security for end users & data. New approach to endpoint security. To find out more speak to one of our Sophos Sales specialists !